I make sculptures of prehistoric animals that represent the wonder to be found in natural history. I am intrigued by animals that evolved with distinct features, such as unfamiliar tusks, strange elongated limbs, and unusual proportions. I use clay to bring these extinct creatures back to life, sculpting folds of flesh and filling their bellies with air. The picturesque aesthetic of the eighteenth century refers to a time when our relationship to nature was being expanded by scientific discoveries, yet separated by the disappearance of wild places. Each scene is a fantasy that inspires curiosity about the unknown animal, while nourishing the imagination of the viewer with intricate details. Mysterious giants wander through palatial ruins, discovering the overgrown remains of monuments to human greatness. Moss and vines cover the fossils of civilization, and show the effects of time in their decay. My work uses reflective nostalgia to present the animals in my own fantasy of an imagined place and time. The unexpected combination of such contrasting timelines questions reality, and rekindles a childlike fascination with the natural world. My sculptures are the scale of toys and stuffed animals that are reminiscent of my own childhood. The element of humor and irony in each interaction is a playful approach to animal intelligence, and mirrors the joy that I find in learning about them. Clay is the most influential material that Ariel has worked with. 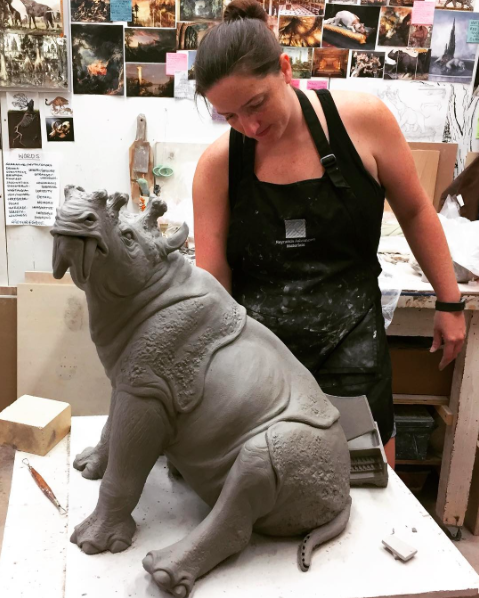 She earned her Bachelors of Fine Arts degree in ceramics from the Kansas City Art Institute in 2011, and an Masters of Fine Arts degree from the University of Florida in 2018. 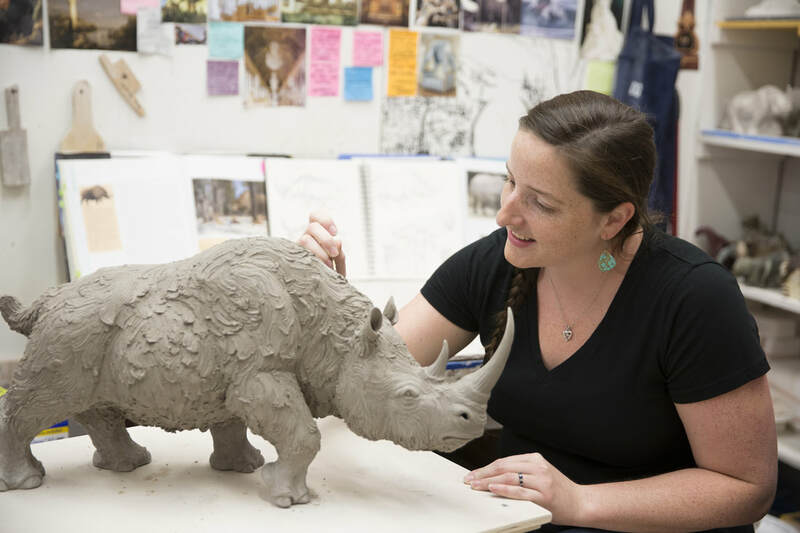 She has studied abroad at the International Ceramics Studio in Hungary, and was awarded the Regina K. Brown NCECA undergraduate and graduate fellowships. 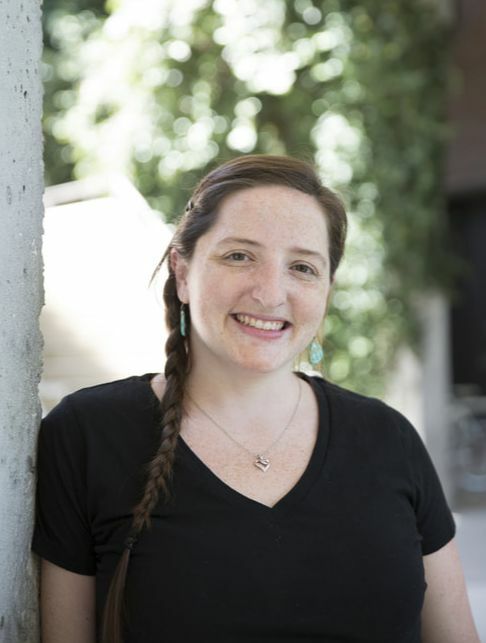 Ariel has been an artist in residence at the Armory Art Center and her work has been collected by the Belger Arts Center, the Florida Museum of Natural History, and the San Angelo Museum of Fine Arts.